Jose with RM Home Inspections inspected our new home (in La Jolla, Ca) & did a great job. He was there for at least a few hours, did a very thorough inspection and I would recommend him to anyone. Not to mention lowest price in town…you guys are great! I purchased a home in February and used RM Home Inspection Services. Jose Mendoza performed the inspection and I was very impressed with his professionalism and attention to detail. Jose took the time to explain all of his concerns and to answer all my quesitons; he even drove from San Diego to San Clemente to inspect my home. His report was clear and concise, complete with color photographs and easy to understand descriptions. I would definitely hire him again! My Husband and I just bought our first home in San Diego and our friends recommended we go with RM Home Inspections because they are extremely professional and thorough in the home inspection process. I couldn’t believe how much detail and time was spent on this inspection. The reports Rafael generated were very explicit and done in a timely manner. He was extremely knowledgeable and provided us with an in depth understanding of our new home. Rafael was very helpful and pointed out a few problems during the inspection that would have been future problems. THANK YOU Rafael for everything, we really appreciate it!!!!! My wife and I selected RM Home Inspections to conduct the inspection of a townhome we were purchasing in Eastlake 2 years ago. As first time home buyers, we were unfamiliar with the process and had several questions. Right away, we were put at ease by Rafael’s professionalism and thorough approach. Rafael performed a prompt and comprehensive inspection, and provided an excellent report. We appreciate him taking the time to discuss and answer all of our questions and concerns. Thanks again for providing outstanding and quality service. I highly recommend Rafael and RM Home Inspections . Rafael and Jose conducted our home inspection in Eastlake. They were detailed, efficient, and provided their report in a timely manner. The report was easy to follow and the pictures were a plus. I would highly recommend RM Home Inspections–we will definitely use their service again in the future. My wife and I recently purchased our first home. We had Jose Mendoza do our home inspection. He was very thurough in his inpection finding some problem areas. Do to Jose’s expert evaluation and hardwork “no stone went unturned”. My wife and I are very thankful that there are still honest and dependable business’s out there. Thank you Jose and RM Home Inspections for everything. The Mendoza’s have been a fantastic team for my agents and I through the years. Not only have they been flexible with their schedules to meet my clients time lines but they have always sent us the report within 24 hours. The Mendoza’s have throughly taken my clients through their new home to be and explained each item of concern. They educate and decipher between a real issue and a problem that needs to be fixed. They have done a great job for my clients! ARE YOU KIDDING! I cannot live without Rafael and Jose on my team of experts! Not only are they extremely professional but personable as well! I am highly recommending The Mendoza’s for your next home inspection! Jose with RM Home Inspections is my House Inspector for life!! I am highly recommending RM Home Inspection for your next home inspection. They are my go to guys when an inspection is needed. Reasonable pricing, awesome quality, great response time, knowledgeable and very professional. I am glad to have a resource that is dependable, and always working for the interest of my client. I look forward to many years to come working with RM home inspection co and will continue to spread the word!! I hired Jose Mendoza to conduct the inspection on the property I purchasaaed last year and I couldn’t have asked for better service. Jose was thorouh, detailed, and patient with all my questions. As an insurance agent, I was very concerned with issues that would make my home difficult to insure and he was able to point out items that I wouldn’t have even thought about. I have recommended RM Home Inspections to my friends, family, and clients and I will continue to do so. WOW… Jose with RM Home inspections did an inspection on my soon to be home in Ocean Beach on Christmas Eve, who works on Christmas Eve? Well RM home inspections does, I was kind of worried about buy a home but Jose made us feel allot better. He was really thorough, the walk through he gave us was great. He showed us things that I never saw or new a home could have. 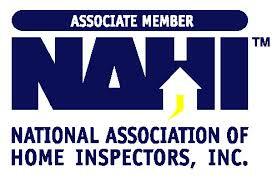 I HIGHLY RECOMMEND THESE GUYS FOR YOUR NEXT HOME INSPECTION, worth every penny.. Thanks Jose for all your help, you made the experience of buying a home easy. Jose, Thanks for coming all the way out to ramona! Your professionalism and kindness is truly appreciated! Jose from RM home inspections services did the inspection to our soon to be condo in Rancho Bernardo, He was really professional & nice. He helped us understand some the issues the condo had & gave us some great advice. We would recommend everyone us RM HOME INSPECTION SERVICES before you buy your next home. Mr. Mendoza, thank you so much for the great inspection and report. I highly recommended these guys, great service and great price. Cheapest in Town. Thanks for doing such a thorough report Jose! You’ll be hearing from us soon! Your inspection was real thorough and your report was really easy to follow. Thanks again for all the great advise, I highly recommended these guys…. This is our second time using Jose at RM Home Inspections! Jose has a great eye for the hidden issues. He noted a small foundation crack in our most recent inspection which were were able to have remedied prior to purchase! Jose was also available to us after the inspection and took time to answer all of our questions! We’d definitely use them again! Thanks guys! Outstanding. I’ve had two homes inspected in the past month by Jose Mendoza. Top notch inspections. I backed out of the first one based on what Jose showed me. Very thorough, he shows you what is wrong. Each inspection took around 2 1/2 hours each, but totally worth the time. A thorough home inspection is the safety net to keep you from buying a money pit. Jose was a great. He was professional yet personable, and reduced my stress as a first time home buyer. It was also important that the inspection be thorough and he delivered – approximately two (2) hours plus a detailed yet easy to understand walkthrough and discussion. The report I received was no different; 35 pages of findings, photos and suggestions. Anxiety looms when purchasing a home. Jose curbs that with his attention to detail, communication skills, and professional work. Nice job, and thank you! If you are wondering who to select for your home inspection, look no further. RM Home Inspections and especially Jose were awesome! Jose was very complete and gave us every detail on the home we are buying. When I came to the RM Home Inspections’s website and read all these testimonials, I knew what to expect and was certainly not disappointed. Jose was very professional and prompt and thorough. He certainly made us feel that we got our moneys worth which was even more evident when we received the full report. Very complete and outlined well. When you’re buying a home you certainly want someone in your corner you can trust. Without a doubt, Jose is that person. Thanks again! Jose is the man… I have to admit, i was worried about this whole home buying thing but Jose made my wife and I feel so much better. He is very thorough with the inspection and was very patient with all of our questions, he found issues that i would of never noticed myself. I differently recommended this guy for your next home inspection, trust me it worth the price. Rafael….. Muchas Gracias / Thank you so much! I appreciate that you took the time to explain everything to me and walk me though my new condo, you where really thorough and very picky which “I WANTED”. Great price too, I highly recommended these guys.. I would highly recommend Jose from RM Home Inspections. I was referred to Jose by a friend of mine that used Jose as well. My friend which is a contractor was right, Jose knows his stuff. Jose was very thorough, friendly, patient and knowledgeable. He answered all my wife and i questions, we received the report within 24 hours and the report was very easy to read also come with pictures. Thanks again, I would use Jose from RM Home Inspections again…. One more thing, Jose’s prices are great and worth it! Mr Rafael Thank you for coming out in such short notice to inspect my condo in San Diego. You are very detail in your report and gave me allot of information about my new place.. I recommend RM Home inspections. I would use Jose from RM Home Inspections again, Thanks Jose! Jose is super friendly and knowledgeable. I would recommend him to anyone buying or selling. Jose was very professional and a pleasure to deal with and very fare with his prices. Rafael, I want to thank you for making me and my business a priority this year. I look forward to doing even more business with you next year and I truly appreciate all your support. Jose, Thank you very much for doing such a great job on my new home. Your inspection report was very clean, easy to read and your walk through was very detailed and very thorough. Jose even took the time to explain everything in Spanish so my wife could understand also… I will be recommending Jose Mendoza to all my family and friends for there next home inspection.. Thank you so much Jose. We appreciate your thoroughness, suggestions for future improvements, and extra time and attention to our concerns. Jose is thorough, professional, and kind! I’ll definitely be recommending him. Thanks Jose!